HomehistoryDid Catherine Of Aragon Suffer A False Pregnancy? Everyone knows that poor Mary I had two phantom pregnancies. Little known, instead, is the controversy that surrounded her mother’s first pregnancy. Maybe that’s because the records are sketchy. But they do hint at the possibility that Catherine of Aragon may have suffered a false pregnancy as well. Catherine had married Henry VIII on 11 June 1509 and got pregnant shortly afterwards. Obviously, the King and the whole country rejoiced at the news that soon a new heir to the throne would be born. But then, something went wrong. On 31 January 1510, the Queen went into premature labour and gave birth to a still-born girl. 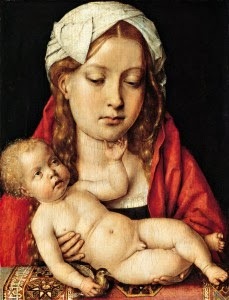 Catherine and Henry were devastated, but, at first, seemed to hang onto the possibility that Catherine had actually been pregnant with twins and was still carrying one of them. Why? Well, after the labour, Catherine’s abdomen, rather than decreasing, remained rounded and even seemed to grow bigger. Although today we know that could have been a symptom of an infection, the medical knowledge of the time was still rudimentary, leading the doctors to believe the Queen was still pregnant with a child. They didn’t change their minds even when Catherine began to menstruate again. Apparently, only Luiz Caroz, the Spanish ambassador, who admittedly had just arrived in England and hadn’t heard of the January miscarriage, thought this was ridiculous. At the end of February, the King gave orders to refurbish the royal nursery in anticipation of the birth, and, the following month, Catherine entered her confinement. But the baby never came. Instead, the swelling decreased. It was now obvious that everyone had been fooled. Only then, a sad and embarrassed Catherine wrote to her father, King Ferdinand of Aragon, that she had just miscarried. It was a lie, but one said probably because she was scared of disappointing her father, like she had disappointed her husband. It seems, in fact, that Henry was angry at her over this embarrassing situation.